According to the Nerdist, Marco Ramirez, the new Daredevil showrunner for season 2, has called next season “Daredevil vs. Punisher”. 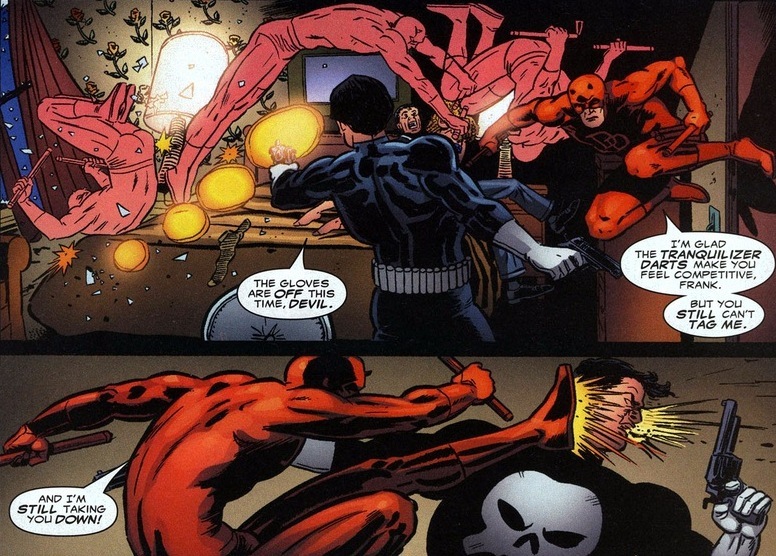 This confirms that the freshly cast Jon Bernthal (Fury, The Walking Dead, Grudge Match) is not only having a one episode cameo as Punisher, to lead into his own show, but a fully fledged antagonistic role in the series. I think pairing these two up against one another makes sense, especially since in this version DD is a lot closer to being a killer himself than in most of the comics. We will get a great physical battle mixed in with hopefully some smart ideological battles too. Cannot wait for season 2 to release next year in April! Also, a really cool special feature of the coming DD season 1 Blu Ray has been revealed online, which shows the shows most amazing and talked about fight scene from the POV of Matt! Check it out below! With Ant-Man hitting theatres everywhere soon, Marvel has started the media blitz to get asses in seats. CBR has an exclusive 10 minute look behind the scenes of the upcoming Marvel Studios superhero film, so you should check that out above! For some Ant-Man comics head over to Archonia.com, so you know more than everyone else in the theatre. Down below you can watch the new international trailer and below that a really cool viral video. As a big Sandman fan I agree with him on all accounts. First of all, changes are to be expected with any adaption, and Sandman is an incredibly dense work which highlights why in some instances comics can tell a story in a way that film or novels cannot. So of course you can’t really capture all of that, but have to concentrate on the essence of the story and characters. And as hip it is today to go for TV with everything, Sandman just needs a HUGE budget to look as impressive as it deserves. 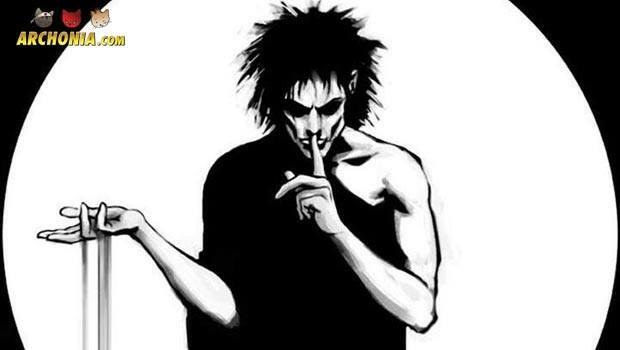 I am very excited as a big Sandman/Gaiman fan and cannot wait to find out more. 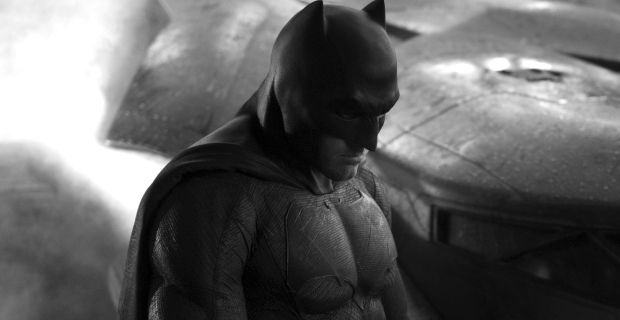 Ben Affleck Directed Batman Solo Movie? According to the scoop masters of Latino Review, a Ben Affleck directed solo Batman movie is currently being planned by DC Comics/Warner Bros.
Affleck has proven he is one of the best directors in the world with movies like Gone Baby Gone, The Town and Argo (which even won Affleck a best film Oscar), so it would make sense to follow up a director like Nolan with him. The currently rumored title of the movie is “The Batman”, but little else is currently know, apart from rough release date in 2018. 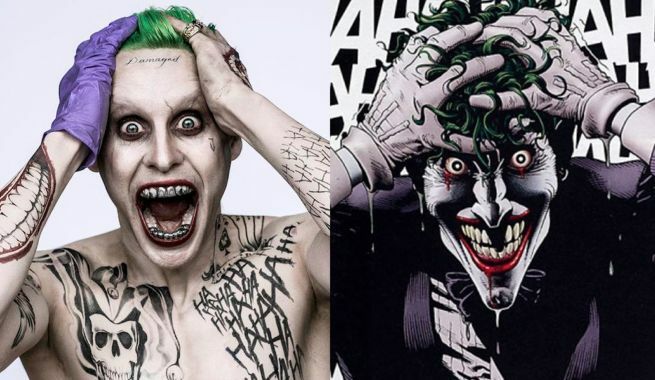 I would also expect to see Jared Leto’s Joker in this, since it would be a waste to cast him only for Suicide Squad. More on this as it develops here on the Archonia Blog! Collider has some sweet Green Lantern movie inside scoops for us. 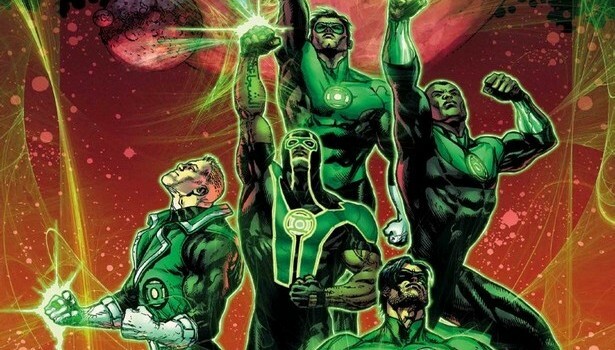 According to their sources the new franchise will not be focused on Hal Jordan alone, but on a team of Green Lanterns. Guy Gardner (YESSSSS!!!) and John Steward are mentioned in the article and it is rumored that two of them, or maybe even all three will headline the Green Lantern movie in 2020. Collider also said that it is a big possibility that WB will reveal who the Lanterns are and who is going to play them in a few weeks at San Diego comic con! I think its a good idea to make a team movie out of it, to further differentiate it from the Ryan Reynolds movie from 2011. Latino Review picked up on that rumor and spoke to their own sources. According to them Chris Pine is the guy for Hal Jordan and he will debut the role in Justice League in 2017. At the beginning of the Suicide Squad shoot (an upcoming DC Comics movie you might have heard about almost every week on this here blog, directed by David Ayer) Jared Leto felt apparently a bit sad that the rest of the cast started a few weeks before him, so… to show he is already in character and excited to do the movie he got creative and sent the cast some gifts… Joker style. In an interview with Eonline Slipknot actor Adam Beach revealed a bit about all of that. Harley Quinn actress Margot Robbie got a box with a black pet rat and a love letter written to Harley by Joker. Will Smith, who plays Deadshot, got a packet of bullets and a letter as well and the rest of the cast got a dead hog and a self recorded videotape of Leto as the Joker! I really hope we get to see that on the Blu Ray in a year and a half! Actor John Hurt, who played General Thunderbolt Ross in the Incredible Hulk, returns to the role in next years big Marvel movie “Captain America Civil War”. 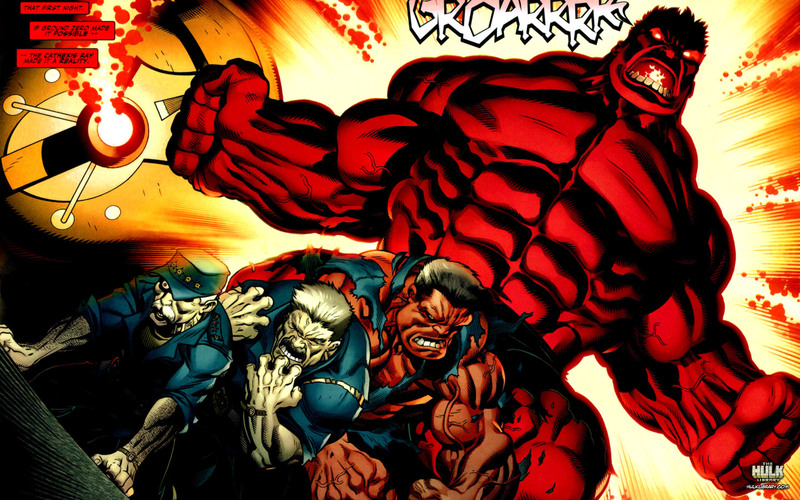 We already wrote about rumors of him turning into the red Hulk for the film a few weeks back and now we have even more hints towards that possibility in a new interview with the actor on IGN. Sounds a lot like Rulk to me. What do you think? Comment below and let me know!